It’s been a sensory Christmas here at The Watch House. The pain of concluding the building project and clearing up afterwards, the pleasure of decorating our new rooms for Christmas, and the joy of inviting friends and family to share time with us has made for fortnight of mixed feelings and heightened emotions. There has been much laughter, chatter, delighted squealing, and the odd tantrum, but on the whole it’s been a season of exceptionally good cheer. Within a week of waving goodbye to the builders the house feels like home again. Despite all the decorating that needs to be done, the house looks festive and cosy. There are new, unfamiliar sounds – creaky floorboards, the drumming of rain on roof lights and the gentle purr of a new boiler – and vistas through rooms that I never thought I’d gaze upon. Best of all is the way the house smells. Lots of new furnishings, plants, candles and toiletries mean that every breath is laced with new olfactory experiences. The woody base note in our new garden room is provided by a towering Fraser fir (Abies fraseri). It was purchased on impulse as a means of blocking the entrance to our unfinished downstairs shower room, which is temporarily serving as storage for surplus paint, tiles and other building supplies. The tree has turned out to be my favourite Christmas focal point, dressed in green and gold with flashes of red. Native to the Appalachian Mountains in the USA, Fraser firs are vigorous, narrowly-pyramidal conifers with soft, sea-green foliage. A blue-green tinge beneath each needle lends the tree a lightly frosted appearance. Upswept branches are perfect for hanging decorations, and the lightly-resinous fragrance of the needles is the very essence of Christmas. Goodbye Nordmann, it’s Fraser for me every year from now on. 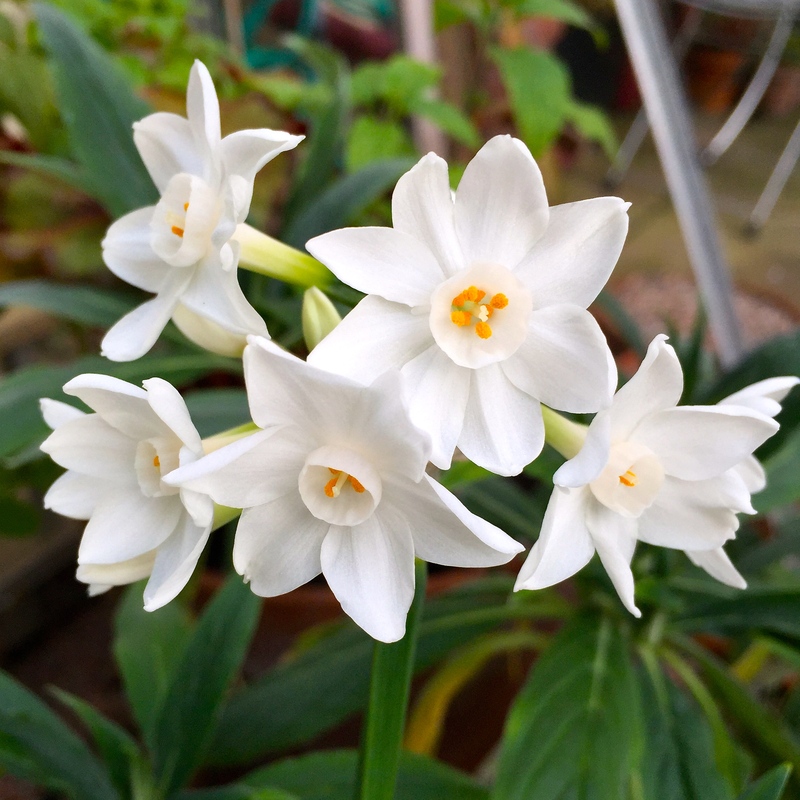 Floral top notes in our chilly vestibule are provided by several pots of paperwhite narcissi (Narcissus ‘Paperwhite Ziva’). I’d like to claim I persuaded them to flower bang on cue. The truth is that I bought them from our local garden centre two weeks before Christmas with the certainty that at least some of the buds would be open in time for us to enjoy the heady scent. If the room were warm, the combination of paperwhites, stephanotis (Stephanotis floribunda) and Arabian jasmine (Jasminum sambac) might be overpowering, but we’ve kept it deliberately cool to prolong the life of the Fraser fir and to stop the paperwhites from getting leggy and keeling over. The good news is that I have plentiful fragrant narcissi coming through to sustain scent through winter, including N. ‘Cragford’, N. ‘Geranium’ and N. ‘Avalanche’. Thankfully the scent of fresh-cut MDF dispersed quickly, although I do still catch the occasional whiff of new carpet, a perfume faintly reminiscent of cow dung. Our buxom Nordmann fir (Abies nordmanniana) is characteristically devoid of any pine fragrance; the greatest let down for me with this type of Christmas tree. I compensate by burning scented candles from lunch until bedtime. 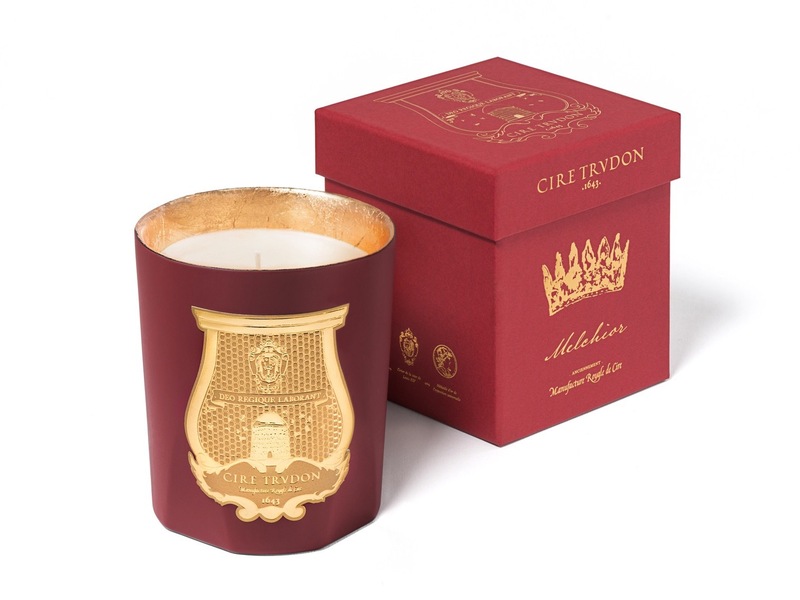 I was gifted one of Cire Trudon’s sumptuous ‘Melchior’ candles, a languorous mix of myrrh, labdanum, musk and benzoin resin, enshrined in wax, hand-poured into a velvet-red glass, lined with gold leaf. I’ve been disappointed with the fragrance ‘throw’ of Cire Trudon candles in the past, but this one is a Christmas cracker. I enjoy most fragrances, woody, smoky or leathery scents especially. Now that we have a library I have every excuse to indulge in them. Playing second fiddle to ‘Melchior’ is Herve Gambs’ sensual ‘Écorce Fauve’ (meaning ‘Tan Bark’), combining the scents of cedar, vetiver and birch bark. A high fragrance content means that this candle is prone to smoking, so the wick must be kept particularly short for a clean burn. Choosing the right fragrance for a room enhances its ambience tenfold. Once I find one I like, I tend to stick to it religiously. Either of these scents is capable of transforming our half-complete library into a sophisticated reading room in a few flickers of a flame. When I was buyer for home fragrance I used to advise against using scent in the dining room. If you are not careful it can affect the way you taste food, and not for the better. However, I’ve found one fragrance that’s guaranteed to get my guests’ mouths watering and that’s Kenneth Turner’s “Signature” scent, which brings together orange blossom, honeysuckle, citrus oils, woods and spices. To me it smells like none of those ingredients, but instead of old-fashioned carnations. I’ve been burning the same five wick candle for five Christmasses and, horror of horrors, it’s about to run out. I should have purchased a refill while Kenneth Turner was still making them. Thanks to Him Indoors the kitchen always smells good at Christmastime. 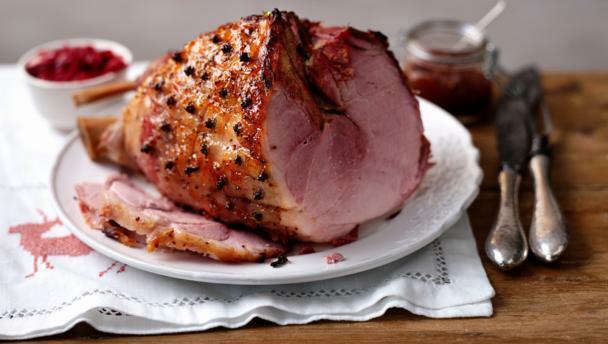 As I write this post the fragrance of smoked gammon baking in the oven is wafting up the stairs to the dining room. Prior to that we’ve enjoyed the mouth-watering scent of potatoes roasting in goose fat and of apple and plum pies turning golden brown in the oven. We are not coffee drinkers, but with my sister visiting we get to enjoy an occasional waft of freshly roasted beans drifting upstairs too. I like our bedroom to smell of fresh air and nothing else. 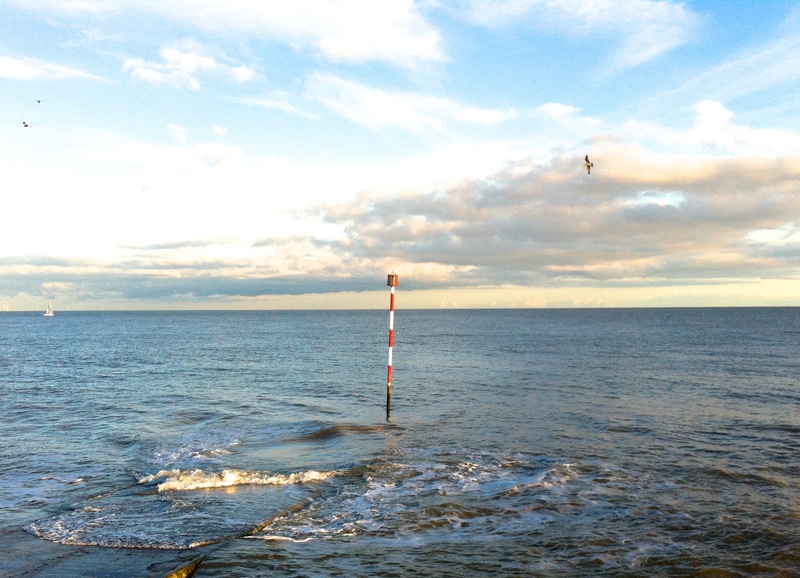 The window faces east over the English Channel, meaning clean air is rarely in short supply. I like to sleep with the window open, but in the middle of town that can make for an unsettled night. The only scent I can really tolerate at bedtime is Max Benjamin’s ‘Dodici’, which is a soporific blend of rosemary, Sicilian lemon, marjoram and Tuscan Lavender. 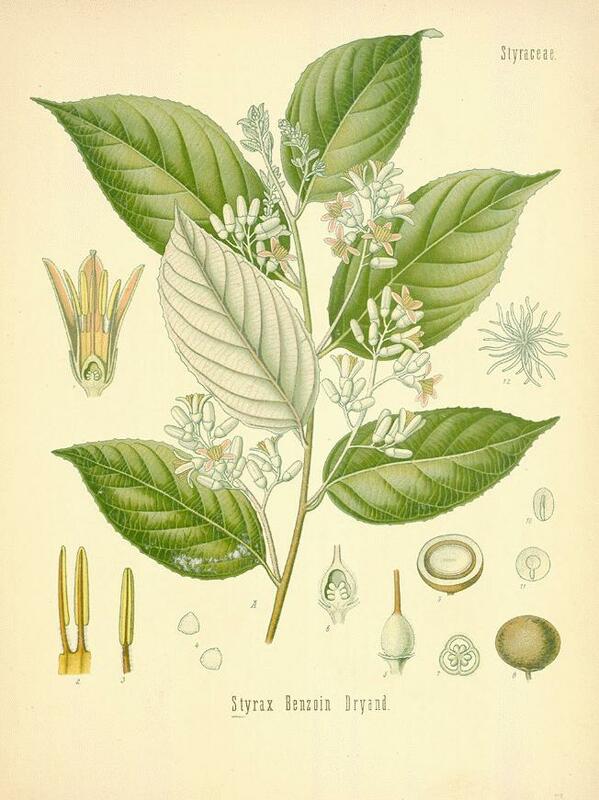 I use ‘French Linen Water’ from the same brand in our guest bedrooms, or True Grace’s ‘White Tea’. Both are light, fresh fragrances which enhance a sense of cleanliness. We have ladies in the house, which brings a new dimension to the scent profile on the first floor. 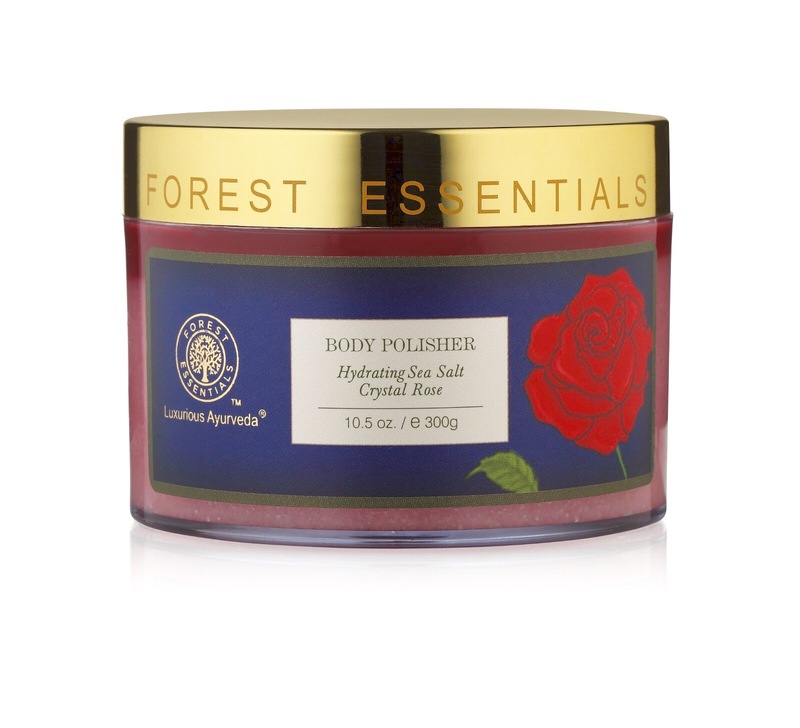 For Christmas I bought my sister some of her favourite bath and body products from Forest Essentials in Delhi. All of their concoctions smell divine, but their rose preparations are superlative. 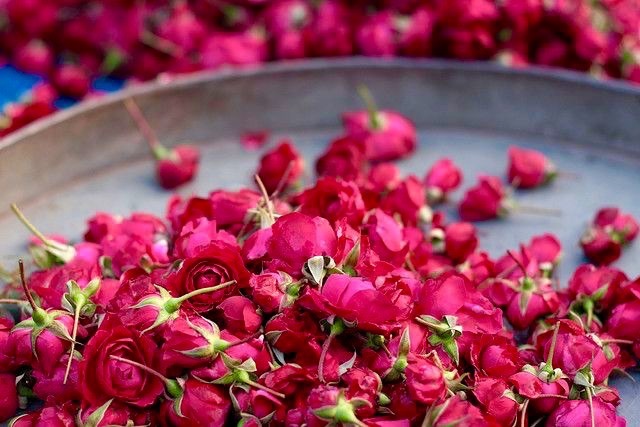 After a pampering session yesterday, both my sister and Martha descended the stairs like perfumed goddesses, allowing the intoxicating scent of a thousand tiny, magenta roses to drift ahead of them. As for me, I plump for woody, smoky, comforting fragrances in winter. I alternate between ‘French Lover’ by Fredrick Malle, ‘Violette Fumee’ by Mona di Orio and another Fredrick Malle perfume, ‘Iris Poudre’. All are dry, complex, mysterious scents that one doesn’t encounter on the shelves at Boots. And what will the New Year smell of? 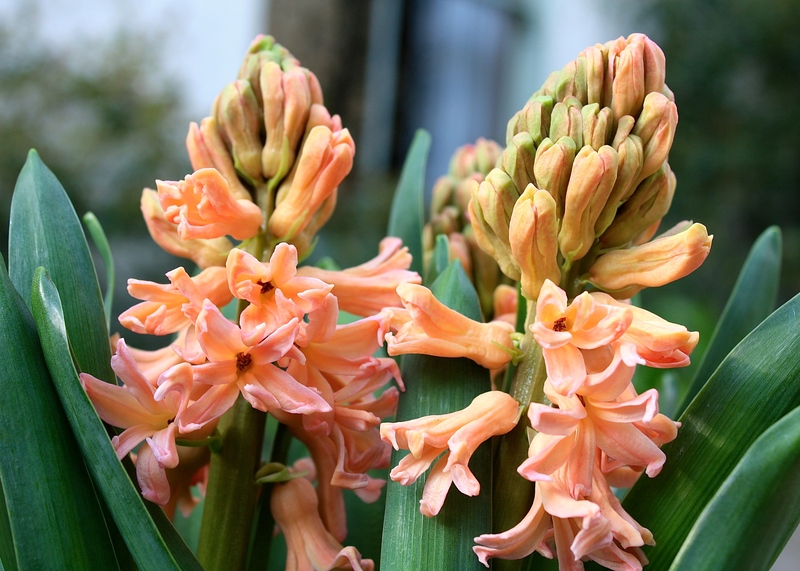 Roast beef and Yorkshire puddings on New Year’s Eve, washing up liquid on New Year’s Day, followed by sugar soap, fresh paint and elbow grease through January until the first daffodils, hyacinths and irises are ready to come inside. I’d love to hear what scents made your Christmas special this year and what plans you have for celebrating the New Year. Let’s hope 2017 is more fragrant and less pungent than 2016! TFG. Happy Christmas, Dan! Everything sounds lovely, but my personal taste is for clean, fresh and citrusy/spicy, so I know I would like hanging out in the bedroom, lol. For perfume, I favor spicy (a woman needs a bit of mystery, don’t you think? ), such as Jo Malone’s Dark Amber & Ginger Lily or old-fashioned Shalimar, but only a dab. 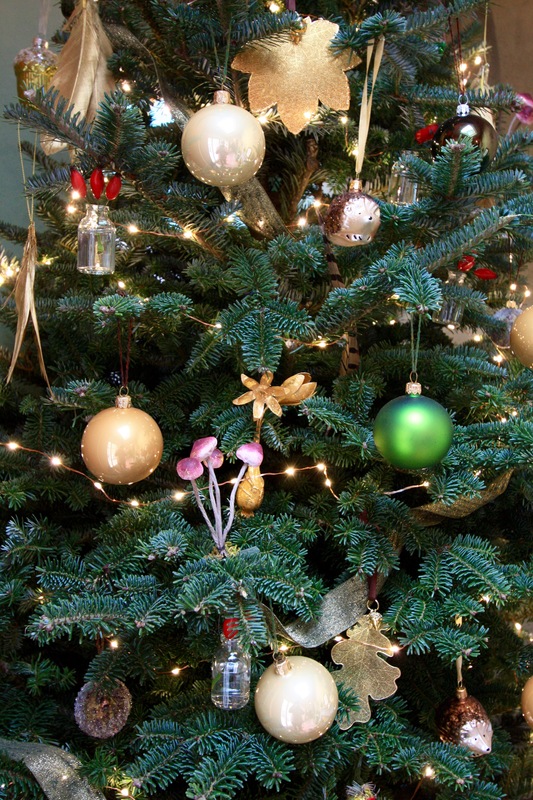 Love your Fraser fir and its ornaments, especially those cute hedgehogs. With you on the scent of fresh air. 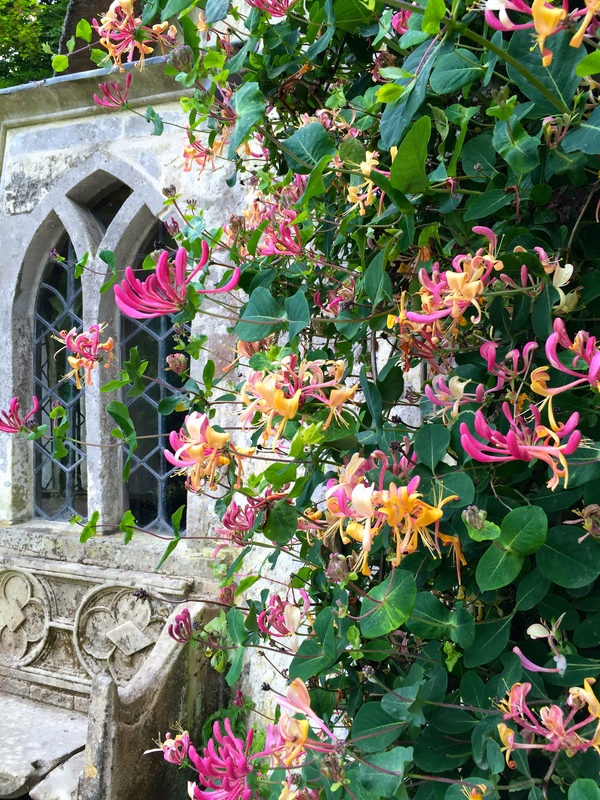 That photo of the honeysuckle is too dreamy! You are very wise Helen. With my professional hat on I always advise using the same fragrance and ‘layering’, using a diffuser for ambient fragrance and candles to give a boost. However, in real life I am unable to confine myself to just one fragrance. Having a house divided into rooms makes this more achievable, in an open plan space it would be ghastly! In the meantime someone, yet to be identified, knocked a full diffuser over on my white granite worktop on New Year’s Eve and left it there to soak in over night. Needless to say there was a whopping stain by the time I discovered it (and a partly melted speaker!). I am researching ways to remove it, and have bought some special stuff online that’s supposed to draw oil out of granite, but do you have any tips?